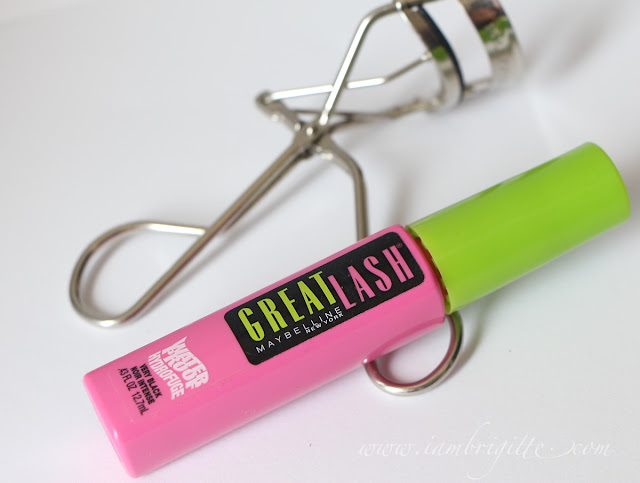 I first heard about the Maybelline Great Lash Mascara from my good friend, Michelle, when we first started working together in makeup gigs. She said, among the mascaras she has tried and used, the Great Lash is the best. I got so curious about it that I even asked my MIL from the US to send me some. Because at that time, it was not available in the Philippines. This year, in the celebration of Maybelline's 100th year, they brought their best-selling mascara in the Philippines and will be available for a limited time only. Also, it will be sold for a discounted price of Php350. I am not sure how much it should really cost, but for a brand's best-selling mascara to be sold at such an affordable price, it is indeed something for makeup junkies to be happy about. As soon as I heard about it, I immediately shared the good news to Michelle and told her to run to the nearest Maybelline counter to hoard. And hoard, she did. It conditions as it thickens. It has a lash-doubling formula that glides on smoothly to build great-looking, smudge-proof lashes. It has a lash-building brush that makes it easy to get a full lash look without clumping. it Is contact lens wearer-safe and is hypoallergenic. 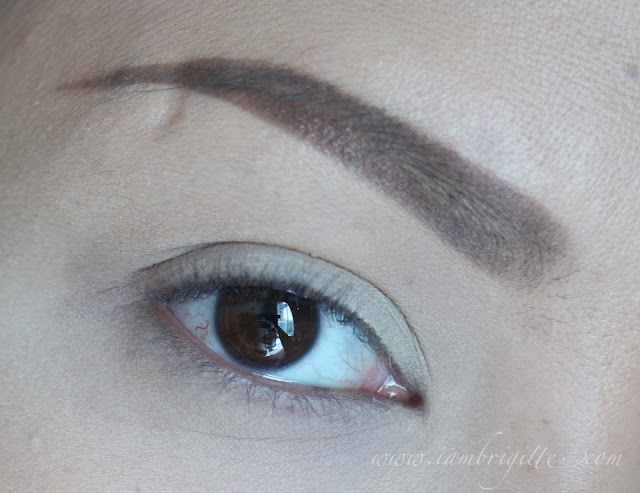 The brush wand has the right size, making it easy to use on both the upper and lower lashes. It is small enough to coat even those lashes in the corners of the eyes. When I first took the wand out of the tube, I immediately noticed that the formulation isn't too wet nor too dry. It is just wet enough to easily coat my lashes and dry enough to keep the curl from being weighed down. I have naturally stick-straight lashes to begin with, so curling them with a lash curler is a must. I guess I don't really need to say this, but I LOVE this mascara. 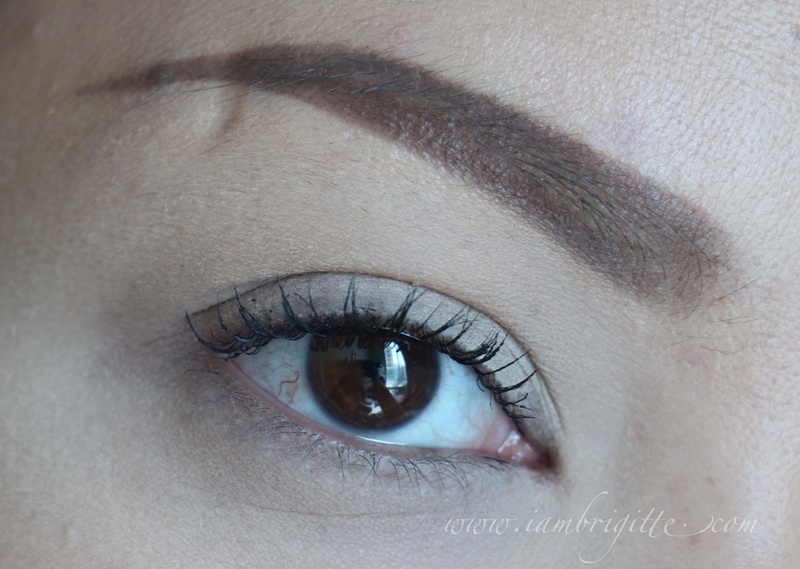 One coat is already enough to make my lashes more pronounced, yet still looking natural. It doesn't do much on the lengthening department but it's okay, as I'd be using this as an everyday mascara. It is smudge-proof, giving me no panda eyes even after wearing it for long hours. I once fell asleep without taking off my makeup (bad, naughty Brigitte!) and this stayed put the entire time. My eye shadow was a mess, but my lashes still remained perfect! It is indeed waterproof because I did try washing it off with water and it didn't budge. But it's nothing that a good makeup remover won't be able to take off. I use Ponds cold cream and sometimes my Sephora makeup remover to remove it. 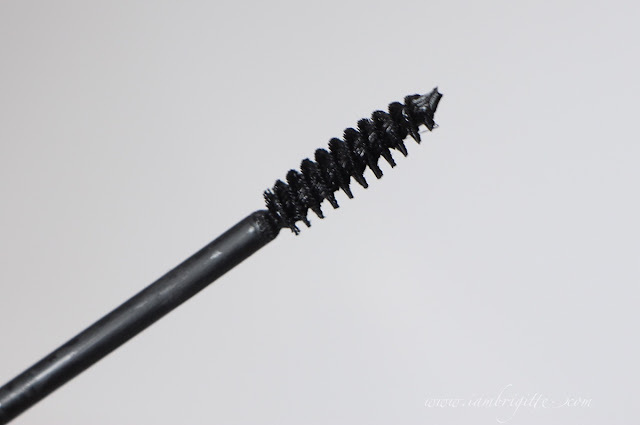 By the way, I find that it tends to get really clumpy on the third coat so you might want to stop on the second, or perhaps use a lash comb to separate your lashes. Like I mentioned earlier, this Great Lash mascara comes in several variants. I was able to get the Blackest Black variant here in the UAE and sadly, it weighed the curl of my lashes down. I am not sure if there are other variants available or if this waterproof one is available here. I guess I have to ask Michelle to hoard for me as well. Ooooh this looks nice! I don't have much lashes and I've always wanted to have great looking lashes. I might try this out!